We are proud to announce our association with one of the most prestigious residents’ societies in the country, or indeed the world – The Residents’ Society of Mayfair & St James. The different types of impeccable staff we can provide for the residents and other discerning clients. The experience of our founder Natalia McKie. The training opportunities within Perfect Household Staff. The internationally respected prestige of British staff. Of course, the renowned London districts of Mayfair and St. James have long been associated with households which benefit from the very highest standards of domestic staff. Mayfair, an area of London which dates from an early 17th Century settlement, is well-known for boasting more luxury hotels per square mile than anywhere else in the whole of London. It abounds with iconic streets and squares, including Bond Street, Marble Arch, Park Lane, Hyde Park Corner, Piccadilly Circus, Regent Street and Savile Row. As one might expect, it has beautiful households to match, many of which have enjoyed a long history of being served by exceptional staff. Likewise, St. James or ‘clubland’ is widely known for containing Pall Mall, the historic gentleman’s club district of London. 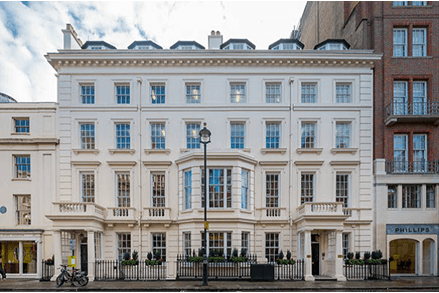 Comprising St. James’s Square, Jermyn Street and Haymarket amongst others, it has long been an iconic part of the capital, housing many renowned households and celebrated personalities. Perfect Household staff is therefore delighted to be associated with The Residents’ Society of Mayfair & St James. As we offer the cream of butlers, nannies, chauffeurs, housekeepers, gardeners, lady's maids and many other domestic positions, we understand the requirements of some of the busiest homes requiring the highest standards of service.